HTML is the building blocks of the web. It gives pages structure and applies meaning to content. Take this class to learn how it all works and create your own pages! This lesson will help you get started with all the tools you need to begin writing your very first HTML documents! Learn how to work with content tags in HTML like paragraphs, line breaks, emphasis, and strong tags. Adding heading tags to your pages is a great way to help describe what your page is about and add hierarchy. Learn how to create all kinds of lists in HTML including unordered lists, ordered lists and definition lists! Learn how pages on the web are connected to one another with absolute links, relative link, and ID links. Make your page pretty by adding images and SVG graphics to them and learn the difference between the two. Learn how to create and manipulate tables, including table headers and rows, to properly display tabular data. Learn how to collect data from your users by creating a form and using many different kinds of inputs. Tags are suppose to give meaning to content, but that's not always the case, like with div and span tags! HTML 5 introduced to us many new semantic tags, and we'll go over the main ones and where to use them. Build rich experiences on the web by incorporating multimedia on your page like Audio, Video and Canvas. Learn about miscellaneous and rarely used tags such as time, mark, abbreviations, quotes, pre, and code! 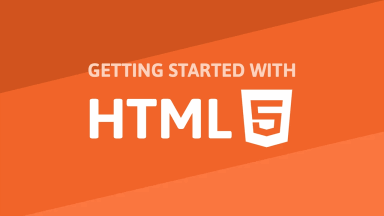 This lesson is the conclusion and wrap up of this class on HTML! Congratulations on completing the class!